Law since 22 February 2018. Under Part IIIC of the Privacy Act 1988 (Privacy Act). Do you know what Personal Identification Information (PII) you collect? If you don’t’ know, do you think it is protected? Who can access it and when? Where is it stored and why? Where is it sent and on who’s infrastructure? How long do you need to store it and why? Have you conducted a risk assessment to identify how you process personal information? Do you have layered technical detection mechanisms in place? Are mechanisms automated and monitored? Assess the effectiveness of your security controls. Do you obtain 3rd party assurance that they are adequate? Do you formally test controls periodically? 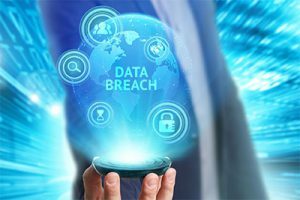 Do you have a documented incident response plan to help with an event such as a breach, Denial of Service or ransomware attack? When was the last time it was tested or updated? Have you tested your strategies? Are all staff and service providers aware of their roles and responsibilities? Do all staff understand the requirements and how your business relies on service providers and vendor? Have service providers and vendors contracts been updated to reflect responsibilities? Identify (before an incident) who you will call to help. What specific skills will you need? Do staff know who to contact and what incidents need to be reported? Who do you tell and when? What do you tell them and how? What is considered to be a reportable incident? Do you have secure system and data backups? Do critical service providers have secure backups? Are backups offline and regular recovery testing performed? Have you documented and tested your IT Disaster Recovery capabilities? 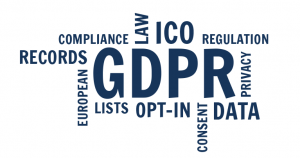 General Data Protection Regulation (GDPR) (EU) 2016/679 is a regulation in EU law on data protection and privacy for all individuals within the European Union (EU) and the European Economic Area (EEA). Law since 25 May 2018. One set of rules for all companies. Affects Australian businesses holding Personal Identifying Information of EU residents. EU GDPR is more comprehensive than the AU NDB. 20. Manage Protection Levels 43. Maintain Storage Controls.